I have the honour to inform your Excellency for the brief detail of our KOKUSAI BUKKYO KORYU KYOKAI in this opportunity. It is registered　at the Ministry of Education(in old days, then the Ministry of Education and Science), Government of Japan as Juridical Foundation, and its sister society International Buddhist Brotherhood Association of India was registered to the Government of Bihar in 1986 under the Society Registration Act 1860 of India with the aim and form of religious welfare foundation for organizing of its activities. The first project of the International Buddhist Brotherhood Association was to build the International Buddhist House of Bodh-Gaya, which completed in February 1970. The INDOSAN NIPPONJI(Japanese Temple) which formed the second step of the project, was completed in November 1973, and was formally inaugurated by His Excellency V.V.Giri, the then President of India in December 1973.
on a trial basis with forty children. Now it trains 208 children, in three years course, from 3 years of age to 5years old. The well experienced 8 teachers are giving nursery pre-school education, such as language, music and rhythm, paper work, painting, manual arts, and so on. Children have facility of medical check, uniforms, educational materials, lunch and milk, and other necessities. 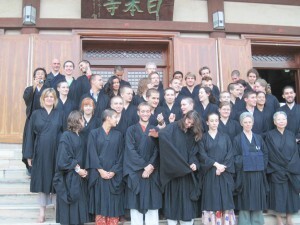 The Japanese temple in provides all those free. The fourth is a free clinic, KOMYO FREE MEDICAL CENTRE called in Japanese, charitable dispensary. 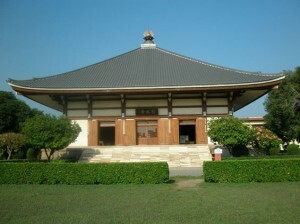 The dispensary was constructed by All Japan BuddhistWomen’s Association in 1984. However, International Buddhist Brotherhood Association has been providing free medical services for the local needy people since its settlement here at Bodhgaya in 1970s. Now, on every working day more than 300 patients come and take medical treatment with free medicines, and education about importance of the precaution against the ill which is the most essential task for the both patients and medical staff. 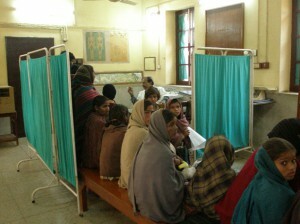 We, IBBA, believe that the FREE does not mean only for the benefit of the poor, but also good for the local consumption due to the reduction of the total expenditure for the medical problems, understanding that the early findings and medical treatment brings the early physical and mental recovery. the 37th conference 2012 was “BUDDHISM AND BUDDHIST OF EAST & SOUTH-EAST ASIA UNDER COLONIALISM” and attended by various eminent Buddhist preachers and scholars. In fact we were being inspired by the expression：ATTADĪPĀ VIHARATHA, ‘Wander thyself being the light (of Wisdom)’ , one of the final exhortation of lord Buddha. Buddhism is infinite in its vastness encompassing all aspect of life and beyond. So to give an inspiring vision, an introduction to the spirit of Buddhism and is aimed at the all-round development-both in heart and mind-of the people of India. It would ultimately become the common venue for ,eeting the people of India with the people of other nations, especially the people of Japan, irrespective of caste, creed of gender for ensuring a better humane environment on this earth for the beneficial result in future.